Home 30 Days Wild Dr M’s little spring flower quiz – the answers! 1. 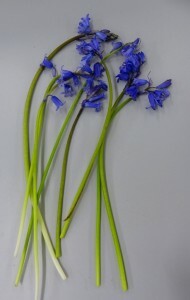 Blue bell (Hyacinthoides non-scripta) – probably the most familiar of these seven. Did you know that Britain is home to about half of the World’s bluebell population? Did you know its sap was used to glue feathers onto arrows in the Middle Ages and to stiffen ruffs in Tudor times? Probably you did know that Bluebell flowers smell divine, and the scent is there to attract pollinators especially bumblebees. Native bluebells look quite different to the larger and unscented Spanish Bluebell common in gardens, check here for some tips on telling them apart. 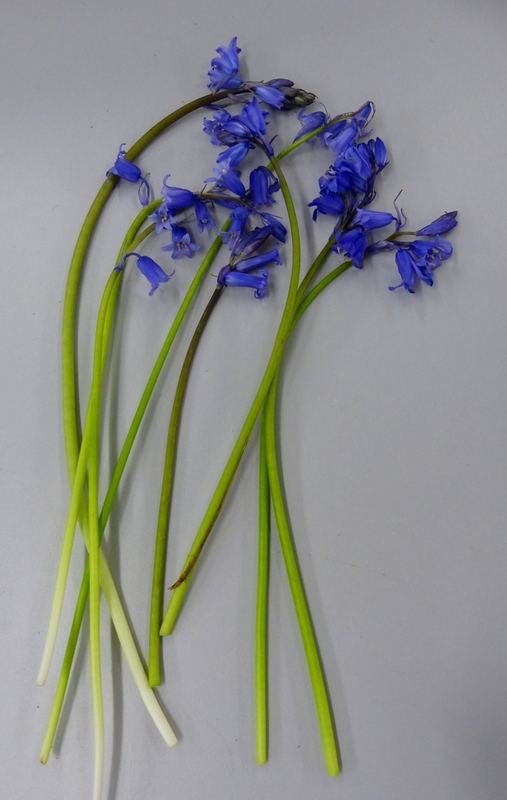 There is also a hybrid bluebell (between native and Spanish) this hybrid can be more difficult to tell apart from the native bluebell and can colonise woodland and may pose a threat by replacing native bluebells. 2. Snake’s Head Fritillary (Fritillaria meleagris) – this attractive plant is found in spectacular numbers in a few remaining traditionally managed flood meadows such as Port Meadow, Wiltshire and Magdalene Meadow in the heart of Oxford. 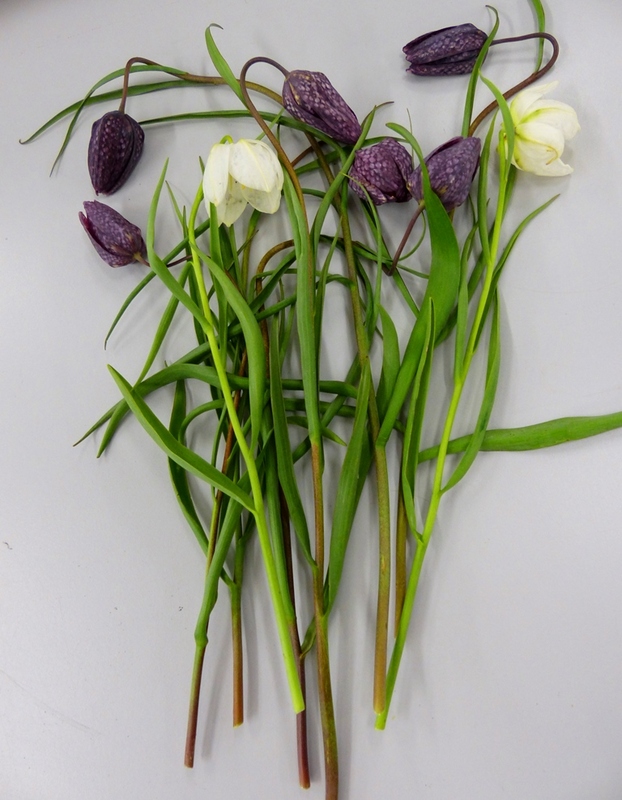 Intriguingly for such a popular wildflower, Fritillaries were only officially recorded growing in the wild in Britain in 1736, so there is some debate as to whether they are real native wildflowers or not. Find out more about Fritillary meadows here. 3. 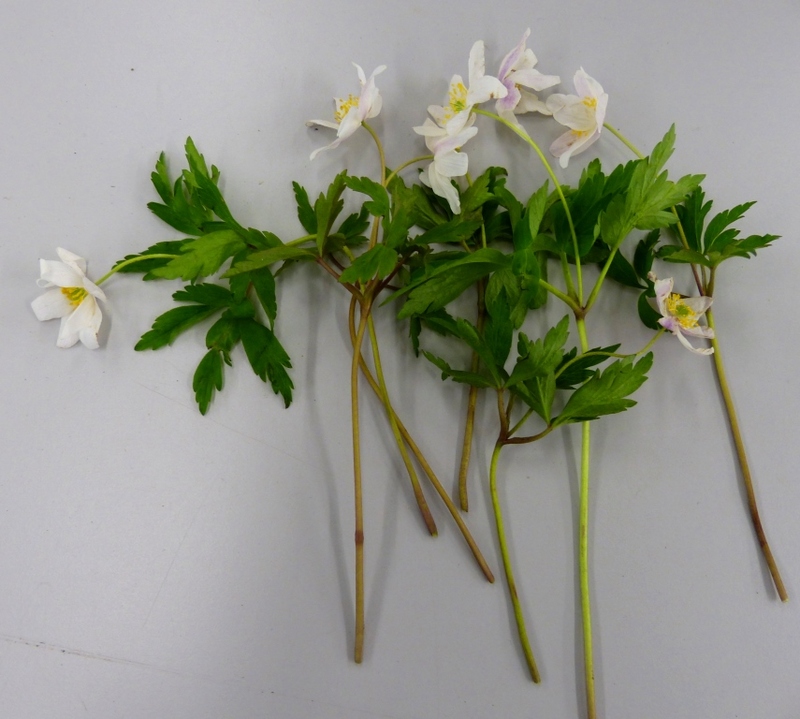 Wood anemone (Anemone nemorosa) – this is a familiar and beautiful wildflower and one of the first signs of spring in damp woodlands. As a species it is slow to spread (about six feet in a hundred years! ), relying on the growth of its root structure rather than the spread of its seed. As such, it is a good indicator of ancient woodland because it rarely colonises more recent woodlands. Read more about ancient woodland indicators here. 4. 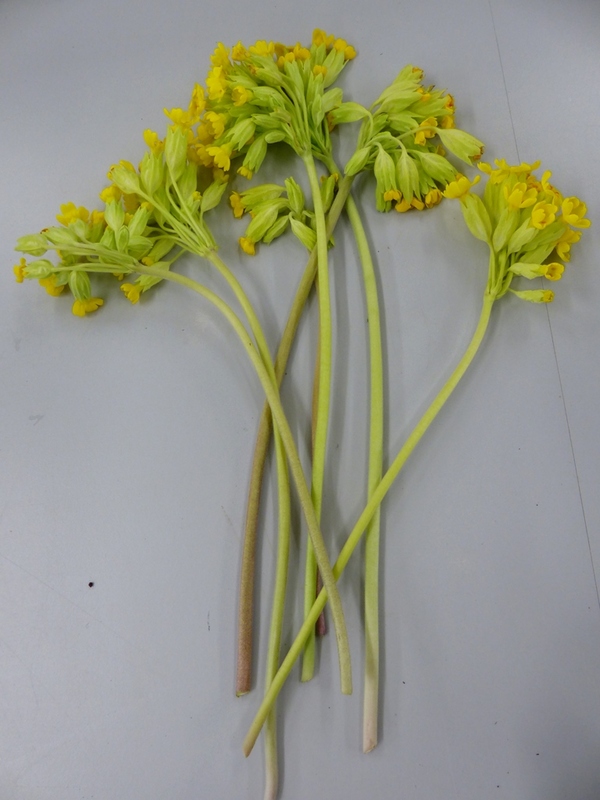 Cowslip (Primula veris) – Cowslip allegedly means cowpat! Our ancestors noted that they tended to flower where a cow had ‘slupped’. 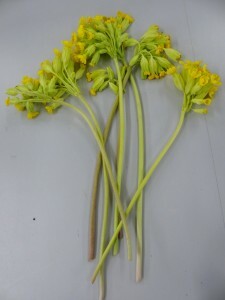 In addition to The Tempest, the ‘freckled cowslip’ also appears in Shakespeare’s Henry V as a sign of a well-managed pasture, check Dr M’s post here. 5. 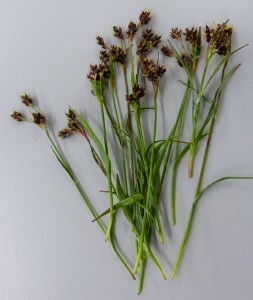 Field Wood-rush (Luzula campestris) – Maybe you thought this was a grass, but no, although it looks like a grass to the uninitiated, it is a kind of rush. It is a flowering plant and the small flowers consisting of six brownish “petals” enclosing the male (the stamens) and female (the stigma) sexual parts. The long silky white hairs on the leaves are characteristic of all the wood rushes (Luzula species). 6. 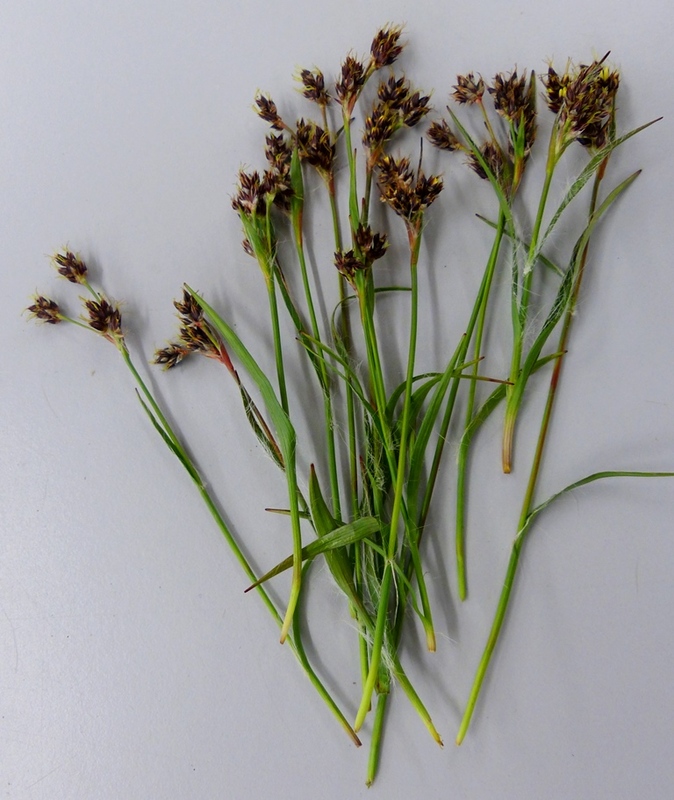 Sweet vernal grass (Anthoxanthum odoratum) – no trick here, this IS a grass, and one of the first to flower in the spring. 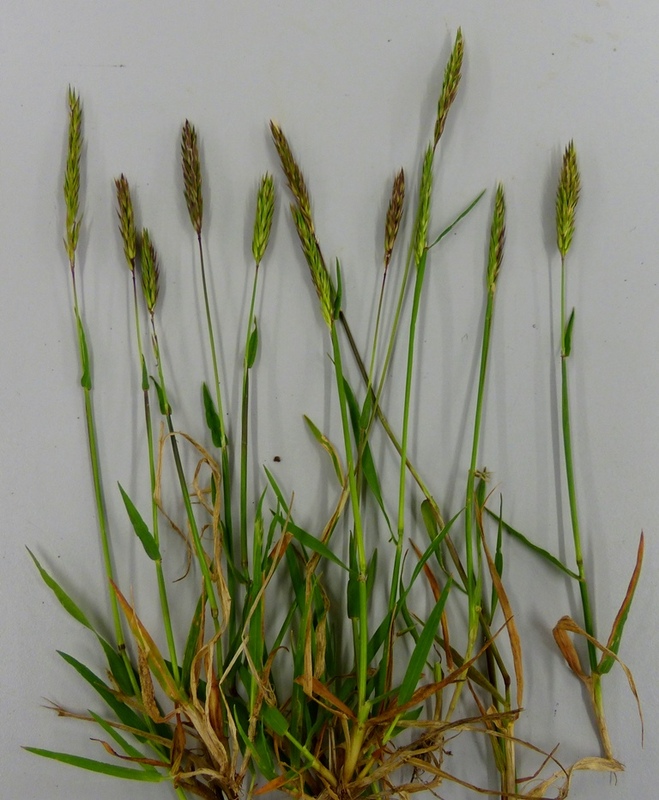 As in all grasses, the flowers are very much reduced to small spikelets which are just a couple of scales (called lemma and palea if you’re interested) enclosing the male and female parts. This grass has a delicate sweet fragrance to it (hence the “odoratum” of the Latin name). The smell is reminiscent of new mown hay and due to the chemical compound coumarin in the plant. Coumarin is a fragrant organic chemical of the benzopyrone class, and found in many plants. It is presumed to be produced by plants as a defense chemical to discourage grazing by insects. 7. 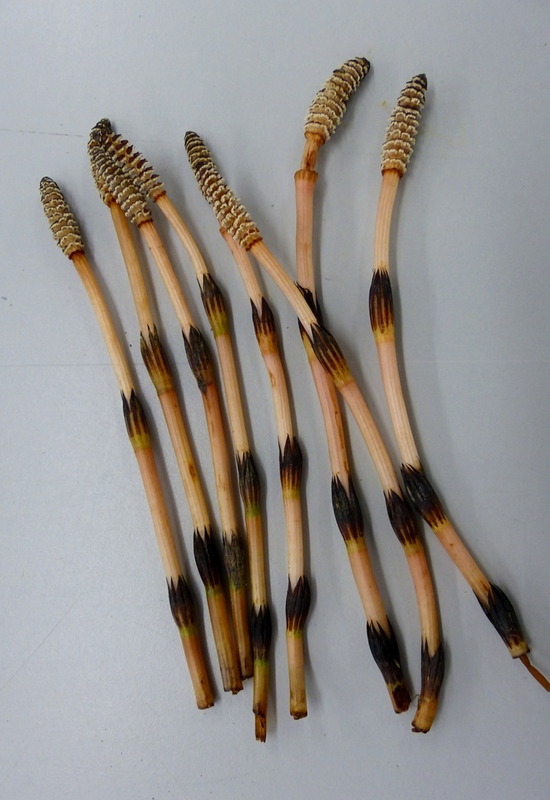 Field Horsetail (Equisetum arvense) – OK, did you spot the deliberate mistake? This one is NOT a flower as such but belongs to a group of plants related to the ferns and reproducing by spores (in the apical cones) and not by seeds. The Horsetails are pretty much unchanged in general appearance since the Carboniferous era (300 million years ago). Extensive forests of giant horsetail-like trees were the origin of today’s coal deposits. Horsetails and related plants are often referred to as “fossil plants”. Dr M says: You can find out more about Britain’s wild flowers at the Plantlife website here.